What is FoodShare (EBT/Quest)? FoodShare was created to help stop hunger and to improve nutrition and health. FoodShare helps people with limited money but the food they need for good health. How do I use my card? 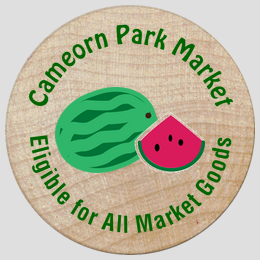 Go to the Cameron Park Market booth and use your FoodShare (EBT/Quest) or debit card to purchase wooden tokens, use the tokens at participating market stands. What can I purchase with my tokens? 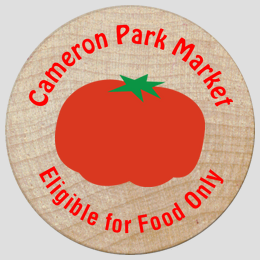 Breads and baked goods; fruits; vegetables; meat; eggs; honey; cheese; spices; maple syrup; herbs; pumpkins; coffee beans; food-bearing plants can be purchased with FoodShare tokens. All items sold at the market can be purchased with debit tokens. Does the market still accept cash? Yes, bring smaller bills or exact change if possible. Are credit cards accepted? No, at this time credit cards are not accepted.